Having lived in the south of England for some years I know how far away ‘the North’ can seem. But it really isn’t, especially if you let the train take the strain, as they used to say, and it’s so worth the journey. From the outstanding sea-faring heritage of Liverpool, the dynamic buzz of Manchester, the blowsy charms of Blackpool and natural beauty of the Lake District, this part of the country has attractions and sights to appeal to all ages and tastes. I make no excuses for focusing on the area I know and love best, so here are a few reasons why you must visit the North West of England. A few years ago Wastwater in the Lake District was voted ‘Britain’s Favourite View’ and when you see the mighty lakeland fells reflected in the dark waters of England’s deepest lake, you can see why. Water ripples and furls through this National Park via its lakes, tarns, rivers, streams and waterfalls. 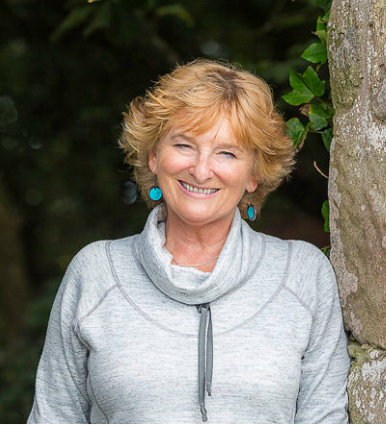 With its majestic mountains and sheep-grazed hills the Lake District and Cumbria have a positive Feng Shui feel to it that may explain why so many people talk of the spiritual and healing benefits of this region. The many ancient stone circles from Birkrigg in the south, to Castlerigg to the west and Long Meg in the Eden Valley, tell us that people have lived in this area for centuries. Take the ferry across Windermere, walk up Latterbarrow, wander beside Ullswater or admire the Jaws of Borrowdale from Friar’s Crag – just some of the many ways to see nature at her most impressive. Not far off the M6 lies the attractive Forest of Bowland where you can wander through ancient woods and take a picnic beside a rippling brook. Walk along Morecambe Bay promenade and see huge flocks of seabirds, featured on Autumn Watch, set at Leighton Moss Nature Reserve. Red Squirrels scamper about Formby pine forest and beside lovely Buttermere. Spooky Pendle Hill may be haunted by the ghosts of Lancashire witches and the undulating Pennines form a natural backdrop up to the Scottish border. Liverpool and Manchester are not just famous for their football teams. Liverpool has always been linked to the sea, showcased in the Maritime Museum. 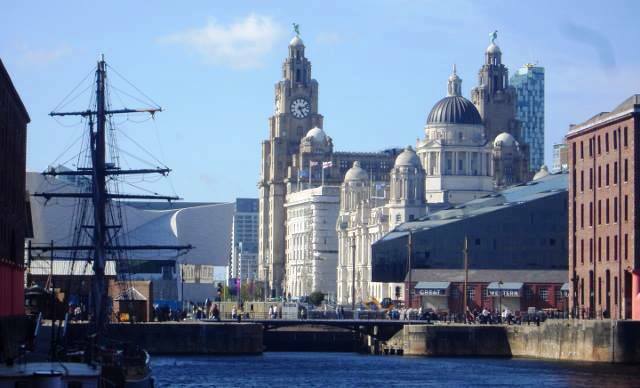 It’s still a major port and Liverpool Cruise Terminal welcomes visitors from all over the world. You can also explore its less salubrious links on the Liverpool Slavery Tour. Of course the Beatles are celebrated all over the city and music can be heard in the many lively clubs, bars and restaurants. Art lovers of all styles are catered for – the Walker Art Gallery has one of the country’s best collections of Pre-Rafaelite paintings and Tate Modern satisfies contemporary tastes. Make time to see Anthony Gormley’s ‘Another Place’, an evocative collection of figures gazing out sea from Crosby Beach. 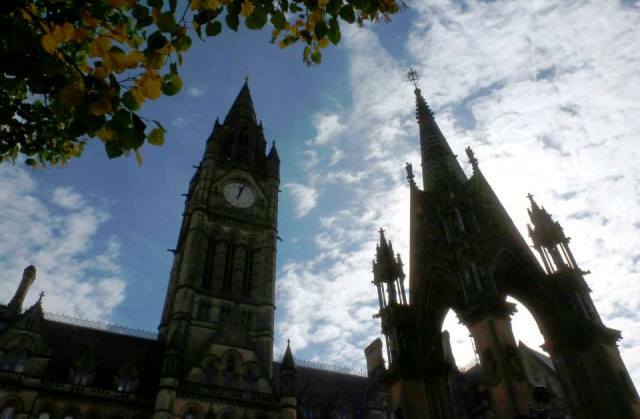 Manchester was pivotal in the 18th century Industrial Revolution and its magnificent architecture is epitomised by the impressive grandeur of the Town Hall. With its stylish skyscrapers and sensitive restoration work, a fantastic night life and possibly the best shopping in the north, Manchester has moved far away from its ‘dour and grimy’ image. Wander along Canal Street and nearby Chinatown for a cosmopolitan flavour of this multi-cultural city. Superb classical music performed by the BBC Philharmonic and the Hallé Orchestra can be heard at the acoustically superb Bridgewater Hall. Take the tram over to Salford Quays, where the BBC has set up base in Media City. The Lowry has over 300 art works by the eponymous ‘stick-figure’ artist and the nearby Imperial War Museum tells the story of conflict – and peace – through the ages in sensitive and fascinating displays. Britain’s most popular seaside resort, Blackpool, is a brash, bold and fun as you imagine it to be. 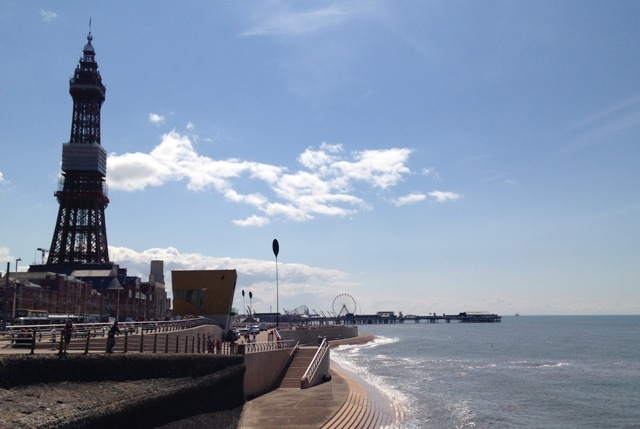 With three Victorian Piers, iconic Blackpool Tower,a heady funfair, Madame Tussaud’s waxworks, an indoor water park, zoo, many theatres and numerous clubs, there really is something for all the family. But it’s not all glitz and kiss-me-quick hats. Have tea in the graceful surroundings of Winter Gardens and relive the elegance of an era long gone or maybe take a twirl around the floor of the Blackpool Tower Ballroom and imagine you’re a ‘Strictly Come Dancing’ finalist! Further down the coast is Southport, pearl of Merseyside, a slightly more genteel seaside resort with plenty of shops along Victorian-arcaded Lord Street, boats on the Marine Lake, a fairground, modern pier, beautiful Botanic Gardens, attractive parks and numerous golf courses. It’s got a long, sandy beach but the tide goes very far out; it’s not the best place for a swim but great for making sandcastles. Discover your inner Hercule Poirot in the Art Deco elegance of the Midland Hotel overlooking the vast sands of Morecambe Bay. On the Cumbrian coast you can discover Roman ruins in the tiny village of Ravenglass, and shelter from the Irish Sea breezes beneath St Bees’ heady cliffs. Whitehaven has moved on from its mining past and is now an attractive harbour town, as is Maryport a little further along the coast. When you reach sleepy Silloth, you can see the the Scottish Hills across the Solway Firth and stand at the start (or end?) of Hadrian’s Wall. A big “here here” from a fellow Northerner. I’d throw Cheshire’s countryside into the mix too. We’re lucky ‘oop north’ to have so many great places and such diversity all so close together. Excellent to hear Martin. Yes, agree Cheshire is in NW mix and has some lovely places. Just didn’t have space to include it! The north west has something for everyone. And in addition to the places you mention there is historical Lancaster, its Grand Theatre being the third oldest in the country. The lovely Morecambe bay and the art deco Midland Hotel. And a stop off at Carnforth Railway Station is worth a brief encounter. Since I have’t been to England, I can’t say much about North or South England. All I can say is that You have done a great of exploring England (most of the people stick to London). I really feel intrigued to make it there soon! How wonderful to see the North showcased like this. 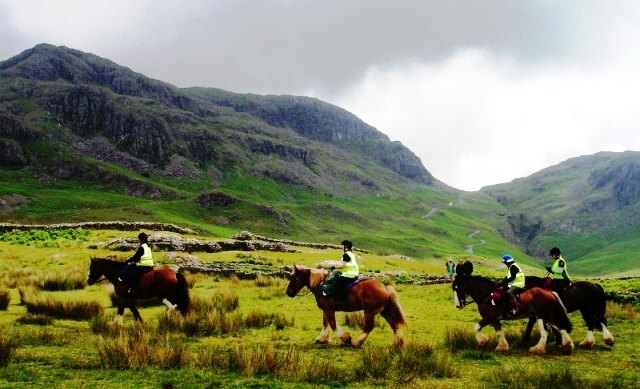 There really are so many beautiful places to visit particularly in the picturesque Lake District and Pennines. And then there’s always the buzzing cities and such fascinating history and architecture in the likes of York and Lancaster. I agree with you, with such great transport links from the capital, it’s definitely worth a quick trip up to discover this different part of England. My favourite is the Big One at Blackpool Pleasure Beach – but wish it hadn’t moved from Southport. Yes, It’s a shame the main fairground in Southport had to sell off a lot of its rides, though it is open again with far fewer. My favourite there used to be the Water Caves and I think it was a crime they closed! What a wonderful virtual tour of the North West! There are so many exciting things to do and see up there, it’s not all about the South in England. You are SO right Sophie. I do hope it will encourage more people to visit this part of the UK. Instead of dealing with horrendous airport queues come up here and explore some of very own green and pleasant land. There’s so much in this lovely part of the world Alison. I love the Lady Lever Art Gallery and Port Sunlight village – an unexpected treasure and worth a visit any day. I haven’t been to the Williamson so will add it to the ‘To Do’ list! Thanks for sharing info on these places. Hopefully it will encourage people to explore more. If North West England is not very well known by English people, you know this is even more the case for French people. So many things to let them discover. 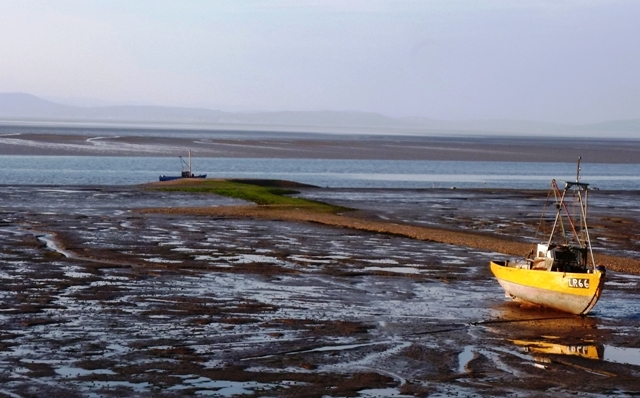 For example Morecambe bay. This place makes me think of Mont St Michel bay in Normandy. And not to mention Cartmel, the lovely priory, this tiny village and his good food!! And the charming narrow roads in the countryside. 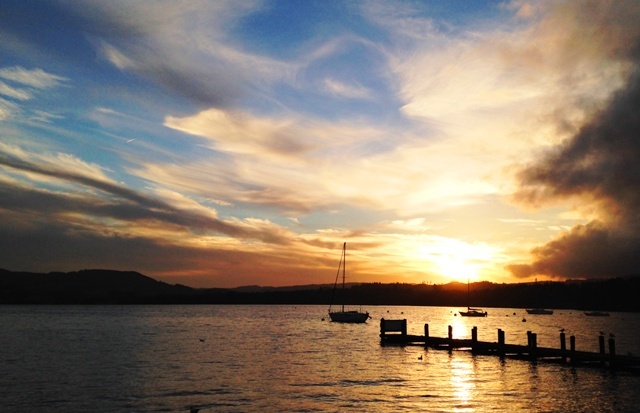 Thank you so much for sharing a few of your favourite places in the NW. As you say, it is not an area much known outside the north of England and even less so abroad. You clearly love it here and I hope you will pass on the message to your French compatriots to come visit! As a proud Northern, I honestly think there’s nowhere better than the North West of England. 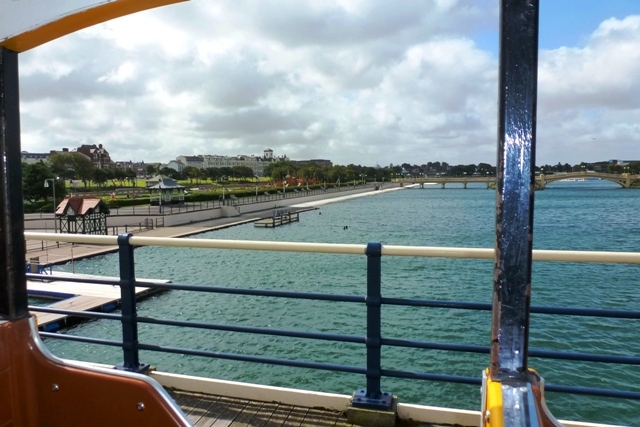 My hometown of Southport has so much to offer – it’s home to the UK’s second longest pier and Southport’s main shopping street Lord Street is said to be the inspiration for Paris!